Are you interested in working in immersive audio? 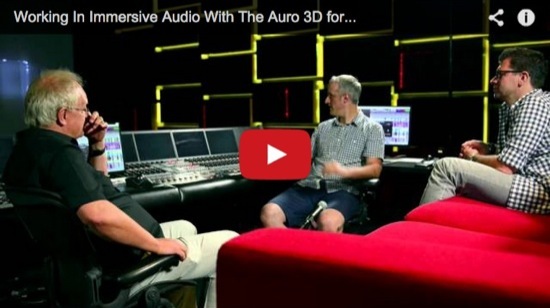 Are you starting or already work in immersive audio in either Auro 3D or Dolby Atmos then this series of videos on working in immersive audio in the Auro 3D format will be of interest. In this first video Mike Thornton experiences listening to music in the Auro 3D format for the first time and explores recording and mixing techniques with Patrick Lemmen, who is resident engineer at Galaxy Studios in Belgium, the home of Auro 3D. In the second video in the series, Mike Thornton explores the techniques and workflows for Auro 3D in film post production with mixer Gareth Llewellyn and product specialist Sven Mevissen.